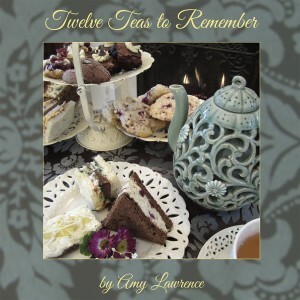 Join me at the Antique Trove on January 23rd at 11:00 and 1:00 for 2 special tea classes. Do you know that different teas require different steeping times and temperatures? Have you ever had green tea and absolutely hated it and wondered why? I’ll explain the basic types of tea and the difference between pure teas and herbal teas. I’ll also teach you how to properly prepare the different types of tea. It’s easy! My son who is 9 makes tea for himself every day. In addition, you’ll also learn the proper techniques, the different equipment and more! We’ll be tasting 5 types of tea and I’ll bring in a real tea plant for you to see. It’s just now getting ready to bloom! I’ll be talking about the health benefits of tea. We’ll be tasting Tai Ping, Houjicha and one of my favorite green teas, called Genmaicha also known as the “Popcorn Tea.” We’ll also taste flavored green teas such as Plum Green, Peach Green, and Pear Green. After that we’ll move into the Rooibos herbal teas which are very high in antioxidants and do not contain any caffeine. We’ll taste Orange Blossom Rooibos and a new Peach Rooibos. If you’ve been wanting to get healthy, now is your chance! Start your new year out right! All classes are free and are held at the Antique Trove. I hope to see you there! Peddler’s Market October 17th and 18th! Visit the Antique Trove on October 17th and 18th for their Peddler’s Market. I’ll be there on Saturday for 3 special presentations at 11:00, 1:00 and 3:00. The first one-Ways to Do Tea will be presented by Babette Donaldson. At 1:00 I’ll be teaching how to make Cinnamon Pumpkin Scones and at 3:00 join us for a tasting of fall teas, a few new ones and also some fall favorites. The Antique Trove is located at 236 Harding Blvd. in Roseville.